The U.S. Navy says a mistake using a mass notification system led to reports of an active shooter at Walter Reed National Military Medical Center. According to the statement, people who saw the notification contacted security at NSA Bethesda, which launched an active shooter response. A spokesman says reports of an active shooter at Walter Reed National Military Medical Center were a “genuine false alarm” and not a drill. Naval Support Activity Bethesda spokesman Jeremy Brooks says there was no drill at the Maryland base Tuesday and they were still trying to determine the origin of the report. The U.S. Navy had tweeted earlier that an “ad hoc drill” was being conducted at the base. The NSAB gave the all clear about an hour after the report of an active shooter in the basement of a building. 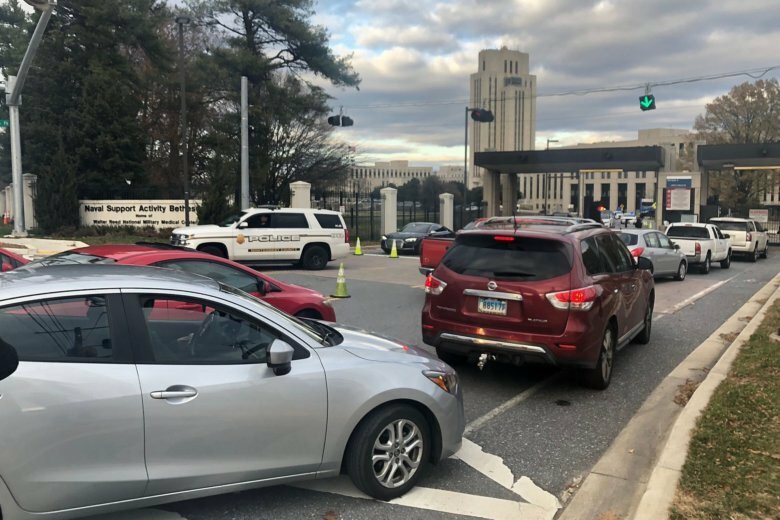 The Navy says a drill was taking place at a Maryland base that’s home to Walter Reed National Military Medical Center, where an active shooter had been reported. Naval Support Activity Bethesda tweeted Tuesday afternoon that no shooter had been found and personnel could move about the Maryland base freely. NSAB had tweeted earlier in the afternoon that an active shooter had been reported in the basement of one of the buildings on that base. Officials have given the all clear after reports of an active shooter at Walter Reed National Military Medical Center outside Washington. NSAB had tweeted earlier in the afternoon that an active shooter had been reported in the basement of one of the buildings on that base. Security found “no indication” of an active shooter after clearing the area. Police in Maryland say they’re investigating a possible report of an active shooter at the Walter Reed hospital outside Washington. Montgomery County Police officer Rick Goodale says police were called to the scene Tuesday just after 2:20 p.m. In a tweet, U.S. Rep. Dutch Ruppersberger of Maryland says he and about 40 other people are in a conference room at the hospital.